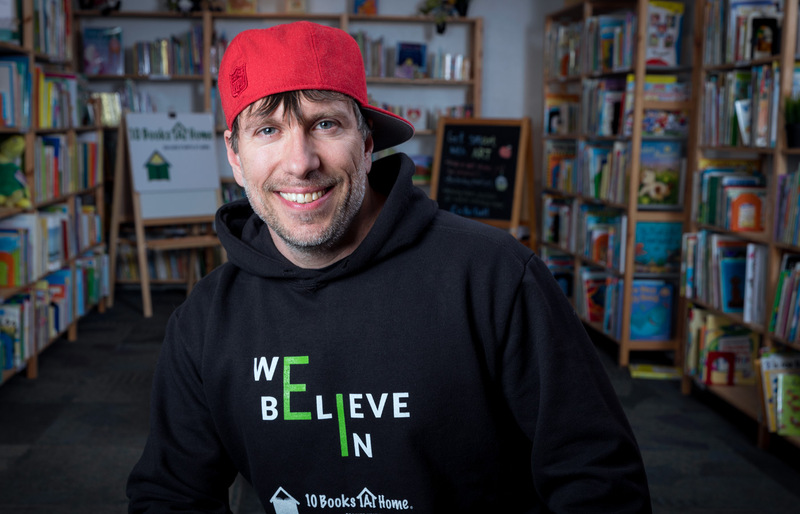 Paul Thiebaut III, ’07 Economics, dropped out of high school and was a homeless drug dealer until he had a learning epiphany. After discovering a love of reading at age 23, “I learned my way out of poverty,” he says. Now he’s trying to help preschoolers in East Palo Alto do the same. 10BH serves nearly 200 low-income families in the Ravenswood City School District, where 85 percent of students starting kindergarten are academically behind and approximately 60 percent drop out of school annually. The nonprofit has a $700,000 annual budget, funded by donors such as the Hurlbut-Johnson Charitable Trust, the Chan-Zuckerberg Initiative, Google and Facebook. Learn more about 10 Books A Home.